It’s no secret: sailing can be an expensive sport. However, there are ways to try it without investing any money. If you get hooked, you will eventually invest in gear, lessons, and maybe a club membership or your own boat—but let’s stay focused on trying sailing right now. Here are some ideas. There are skippers who like to sail solo, but the majority of them sail with crew and often need more crew for casual day sailing and racing. The task is finding such sailors, introducing yourself to them, and letting them know that you are open to crewing and new to the sport. If you are lucky enough to live in a sailing hub, such as Annapolis, MD; Milwaukee, WI; or San Francisco, CA, where there are spring parties specifically set up to introduce sailors, you are in luck. Another good way to meet sailors is through community sailing centers, which you’ll find in sailing towns such as Baltimore, MD; Washington, DC; Norfolk, VA; Stonington, CT; Boston, MA; Burlington, VT; Newport, RI; Ft. Myers, FL; Milwaukee; Seattle, WA; and San Francisco. 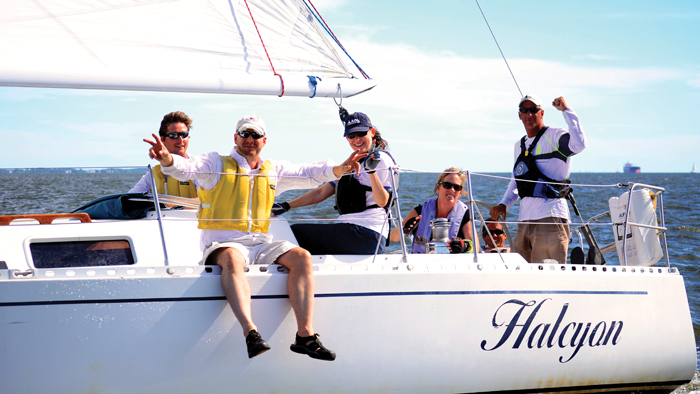 Community sailing centers specialize in inviting the public into sailing at reasonable costs. Free sailing magazines are exceptional, targeted resources for finding welcoming local sailing clubs and generating ideas about meeting sailors. A sampling of the magazines: SpinSheet on the Chesapeake Bay; Points East in New England; Windcheck on Long Island Sound; Southwinds in Florida; 48 Degrees North on Puget Sound; and Latitude 38 in San Francisco. SpinSheet and a few of the others offer free digital crew finder services. Once you find a sailing opportunity, you can follow the advice on these pages about what to expect and then get out on the water and enjoy yourself. One good sailing invitation will lead to many more. Go meet some sailors and let them know you are eager to learn. You will be surprised by how many of them are waiting to hear just that.